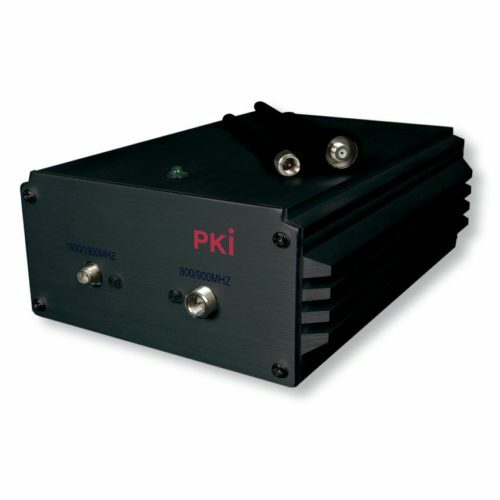 The PKI 6100 Cellular Phone Jammer is designed for prevention of acts of terrorism such as remotely trigged explosives, impediment of undetected or unauthorised information exchanges, protection of sensitive areas and facilities, such as government buildings, national assets, embassies, public transport etc. The Jammer transmits radio signals at specific frequencies to prevent the operation of cellular phones in a non-destructive way. Exact coverage control furthermore is enhanced through the unique feature of the jammer, providing a continuously variable RF output power adjustment with digital readout in order to customise its deployment and suit specific requirements. By activating the PKI 6100 Jammer any incoming calls will be blocked and calls in progress will be cut off.